New solutions in the e-Health domain are been applied to address problems such as monitoring, user adaptation and context influence, particularly if the patients are older people. The social and economic burdens associated with age decline can be decreased by providing more holistic technological solutions. Our aim is to contribute to the integration of different aspects in the active ageing process (cognitive, physical and social) to achieve more complete evaluations and by performing more effective interventions in the elderly. 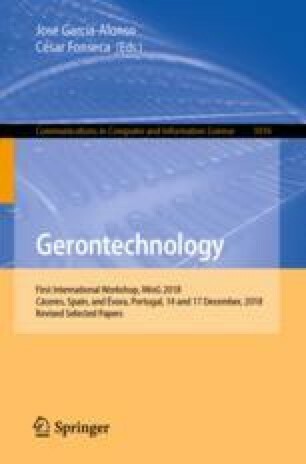 To this end, in this research work we propose a technological solution based on microservices architectures, which has been validated in two different projects: cognitive training and frailty prevention. The solution involves a system of systems engineering, thus improving reusability, extensibility, and performance in the e-Health domain. This research work is funded by the Spanish Ministry of Economy and Competitiveness - Agencia Estatal de Investigación - with European Regional Development Funds (AEI/FEDER, UE) through the project ref. TIN2016-79484-R and the scholarship FPU program ref. FPU16/07100 granted by the Spanish Ministry of Education, Culture and Sports.